Jacqui Dobrilla and Bolsters & Things loudly and proudly supports the National Breast Cancer Foundation, a very important and worthwhile charity, raising much needed funds and increasing Breast Cancer awareness throughout Australia. NBCF is a charity which is extremely close to Jacqui’s heart, particularly over the past ten years or so. A VERY BIG THANK YOU for your generous support! Together we have made a difference! “On 20 November 2013 I took my first important step in a personal challenge that is set to test me on a physical, mental and emotional level. In May 2014 I will be embarking on an epic fundraising adventure; Steps towards a Cure: Great Wall of China Trek. This challenge is on behalf of the NBCF, Australia’s leading community-funded organisation who continue to raise much needed money for research into the prevention, treatment and cure of Breast Cancer. I have chosen to undertake this Challenge because two of my closest friends, both beautiful, vibrant young women, have been diagnosed with Breast Cancer. The Great Wall of China is an extremely long way from my home town of Strathalbyn, and I will need to get very fit to cope with trekking up to 6-8 hours a day. However, I see this as a valuable opportunity to raise funds for a worthy charity which is very close to my heart. I will be trekking for 5 days in honour of my two dear friends, Brenda and Frances, as well as the many other wonderful women in my life. To enable me to undertake this 5 Day Challenge I must raise a minimum fundraising component of $3,300 for NBCF, however I would definitely like to exceed this amount. My personal fundraising goal is $10,000. In addition, I will need to personally outlay over $5,000 in travel costs to undertake the Trek (unless I suddenly come across a VERY generous person to sponsor me in the meantime!). As a Trek Team we aim to raise in excess of $65,000 for the National Breast Cancer Foundation. 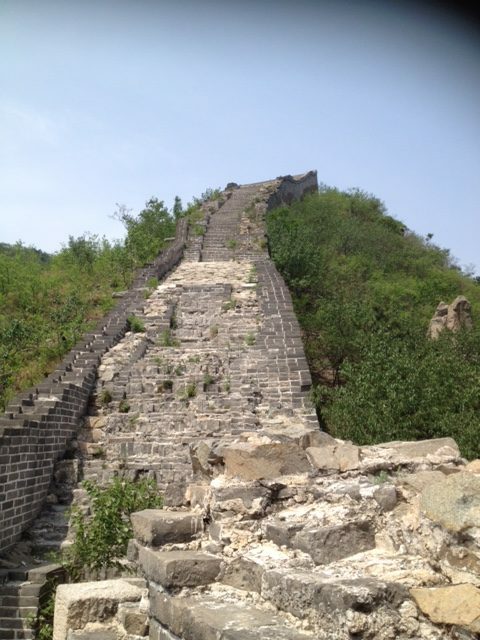 Our 5 Day Adventure Trek will take us across a number of different sections of the Great Wall – some restored, others rambling and overgrown. We will experience the wild beauty, ancient history, and sheer immensity of the Great Wall, discovering sections which are rarely visited by tourists, and staying in local villages at night. I will not know anyone on this Challenge. I am a Retirement Village Manager and a Yoga Teacher who has never trekked or taken part in endurance sports before. At 48 years old (almost 49 at the time of the Challenge! ), this Trek will certainly not be a picnic, a holiday, or a walk in the park for me… but then again, neither is Breast Cancer. It is my sincere hope that you will support me throughout my Great Wall Challenge in whatever way you can. Your assistance and encouragement will help me greatly, as I am fully committed to this journey. Please remember that every little bit helps… no donation is considered too small. One in eight women will be diagnosed with Breast Cancer in their lifetime. Seven women die from Breast Cancer every day in Australia. NBCF have set themselves the goal of achieving zero deaths from Breast Cancer by 2030. A hope, dream, wish… maybe. A very real possibility… DEFINITELY!!! Breast Cancer Research is the key. 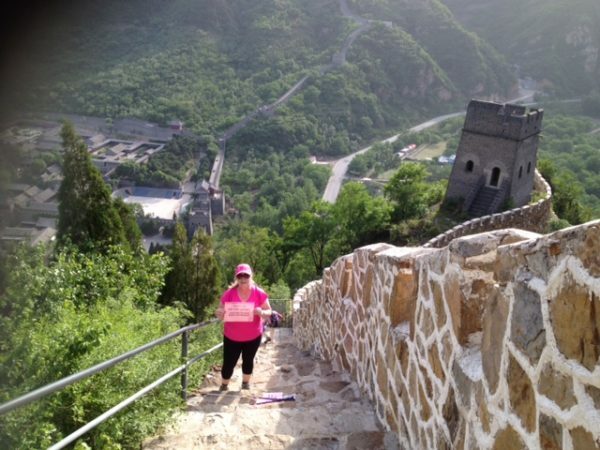 I would love you to show your support of my Challenge for NBCF by pledging your donation to my Steps Towards a Cure: 2014 Great Wall Trek today. Please Like us on Facebook below and help spread the word.